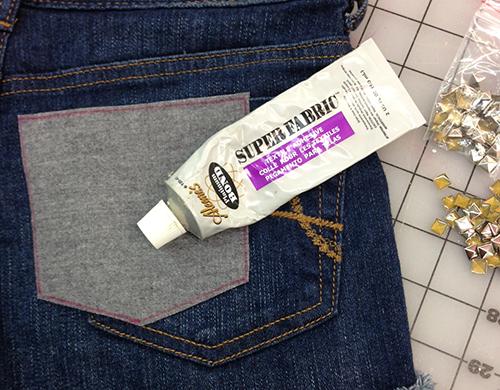 As a part of our DIY shorts challenge in our design studio, I wanted to use my favorite Aleene's glues to make some shorts that had a little edge to them! I've been addicted to studs and spikes as of late...I did add spikes all over my iPhone after all! 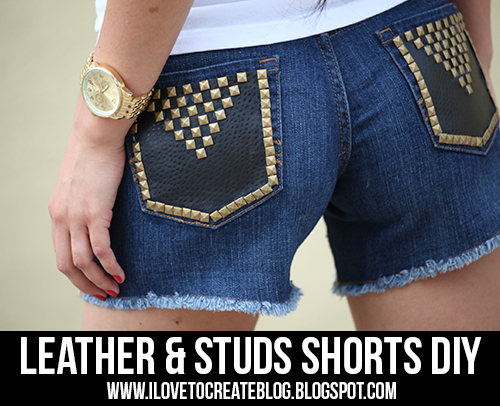 When paired with some faux leather, studs immediately give off a rocker vibe that I just love to pieces. 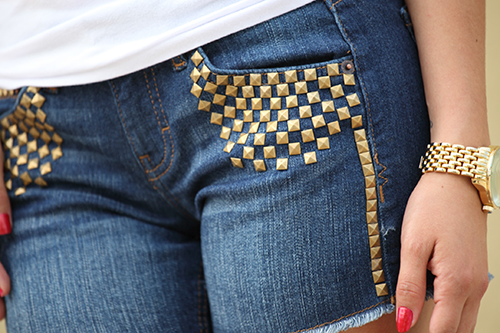 So why not rebel against the plain Jane shorts everyone else is wearing and make your own pair...here's how! 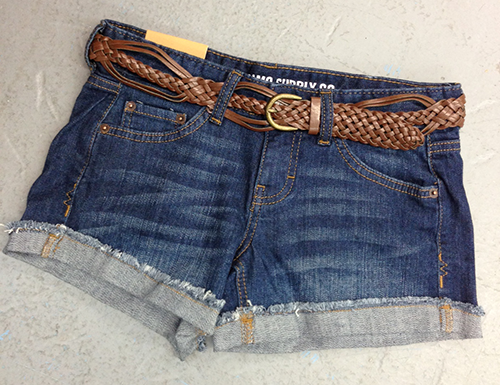 Undo the hem on the shorts and remove the belt. 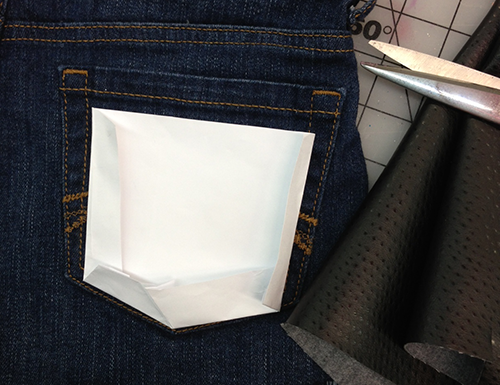 I started out by cutting a pattern for the inner portion of my pocket. 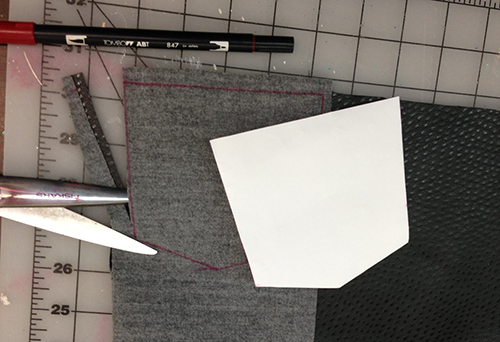 I traced the pattern on the back side of a faux piece of leather, then cut it out. 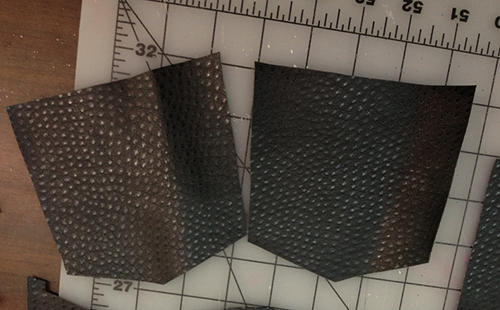 This is what my faux leather fabric looked like after I cut them out. 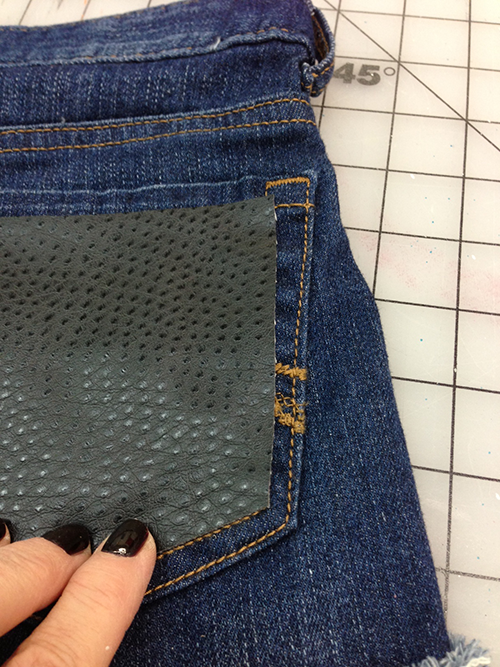 Next I grabbed my Aleene's Super Fabric Adhesive and squeezed it around the edge of my faux leather patch. Next I securely pressed the fabric in place on top of my pockets. 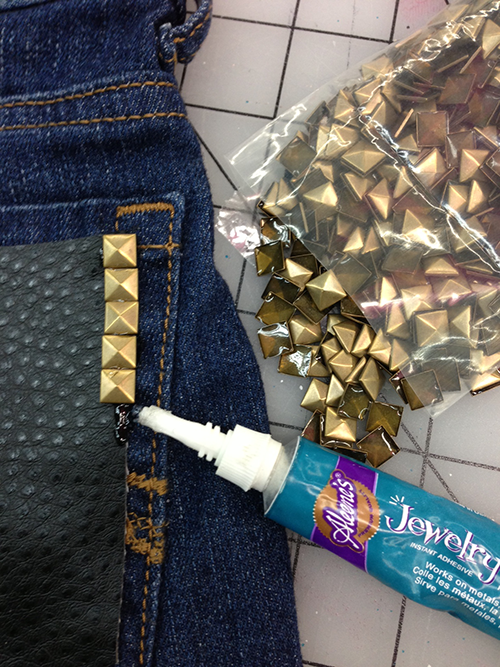 Then I used some Aleene's Jewelry & Metal Glue to glue my studs into place along the edge of my fabric patch. This is what it looked like finished! 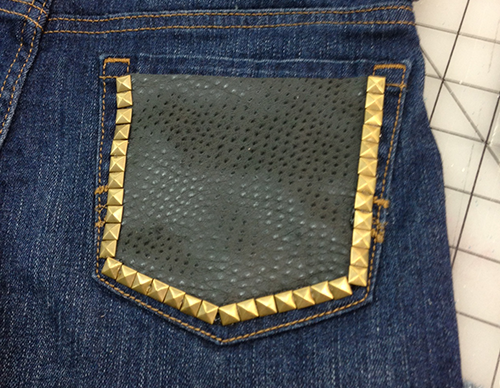 After I was finished with the back pockets, I artfully arranged some studs on the front of my shorts. Here's a detail. It just takes a little time and patience. I used the Aleene's Super Fabric Adhesive to glue them on! What do you think? Does this make you want to let your hair down and release your inner biker chick? Where did you buy the bag of studs at? so as a life long seamstress, why does using glue on a garment seem so wrong, because it is. hammer those studs in. they say you can wash the glue, good luck. It is very good stuff you can use it. Also sent me somr more tips or idias related to the Leather shorts & Crop top... ?